Handset maker Vivo, has launched the Vivo V9, its first flagship smartphone in India with their newly minted brand ambassador, Bollywood star, Aamir Khan. The Vivo V9 is designed for the millennials who seek the best smartphone experience. 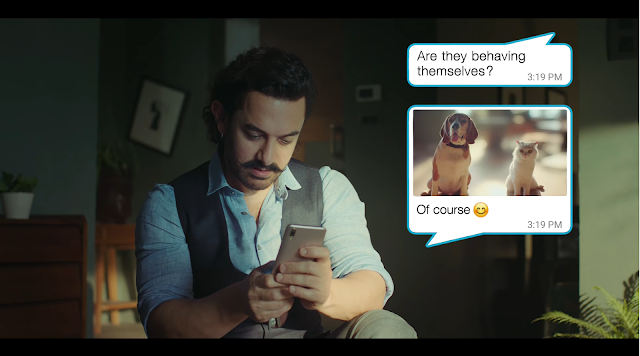 This is the third campaign that Vivo has released with Aamir Khan as their spokesperson. Created by world-renowned ad agency Ogilvy, the Vivo TV ads will air across all major networks in India. The company will also roll out bumper ads on digital and promoted through an extensive 360-degree marketing campaign, which will include a mix of television, digital, OOH and on-groud activations.